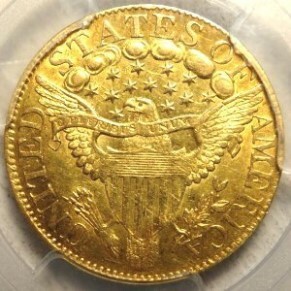 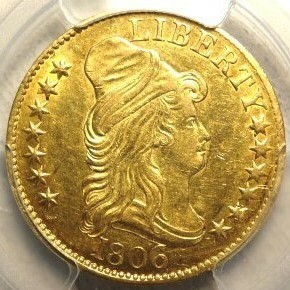 *** AN MJPM FEATURED COIN *** 1806 U.S. $5 Gold Coin AU53 (PCGS)...Variety: Round 6, 7x6 Stars, Very scarce and in demand! 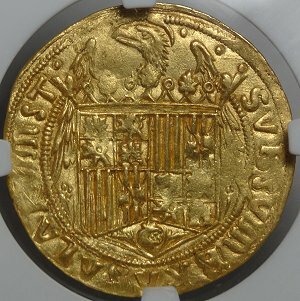 An exceptional example with the WOW factor in the eye appeal category! 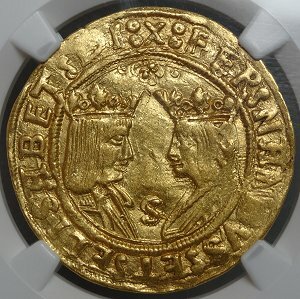 A premium quality example, well struck and worthy of a higher grade.